Proper vehicle maintenance will extend the life of your Toyota and help to preserve its value. Here at Ron Hibbard Toyota we offer a broad range of parts and service support including factory-trained Toyota technicians to keep your vehicle running like new. 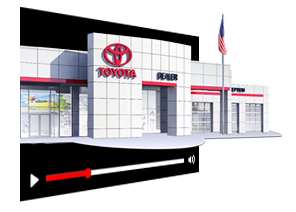 Check out our service videos we’ve provided to help you understand some of the steps that we take to keep your Toyota in tip-top shape.